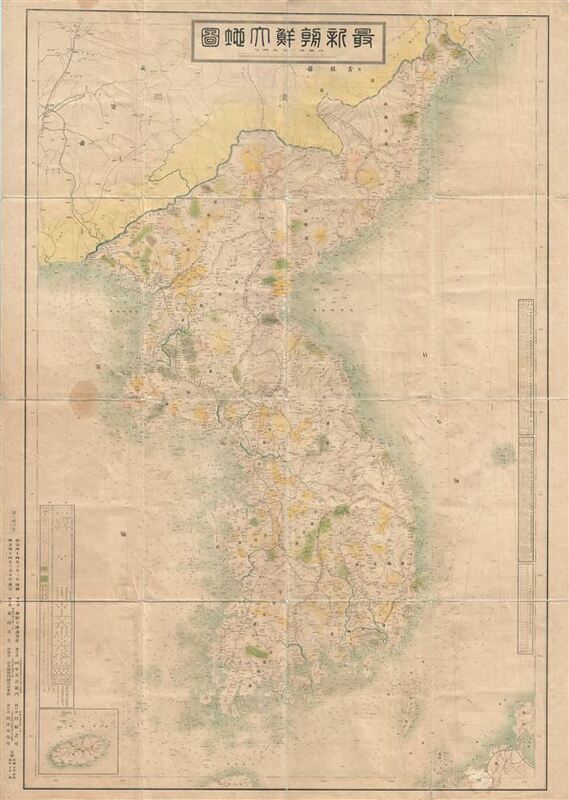 This is a monumental and impressive 1911 or Meiji 44 Japanese map of Korea (Corea). One of the most impressive maps of Korea we have seen, this chart combines the virtues of the terrestrial map and a nautical chart. The map offers countless depth soundings as well as indications of railway lines, roads, cities, rivers and other inland topography. All text is in Japanese. Very good. Some wear, splitting and subsequent verso reinforcement on original fold lines. Blank on verso. Overall toning. Stain center left.